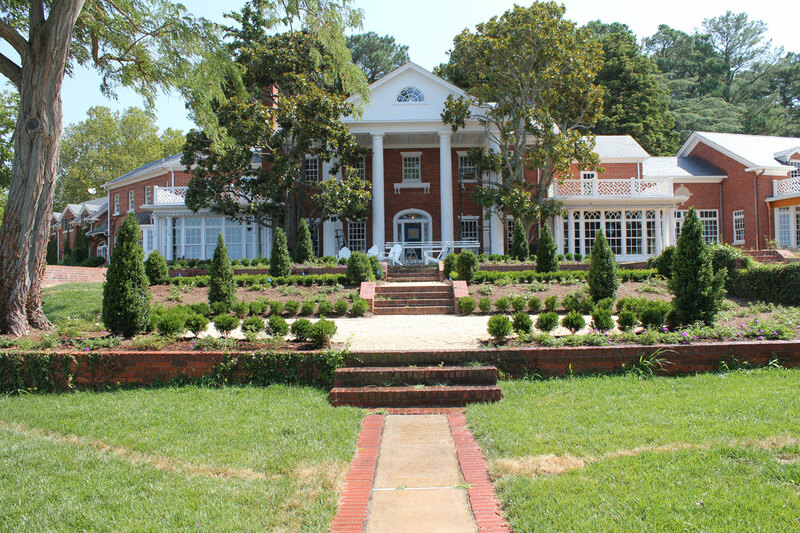 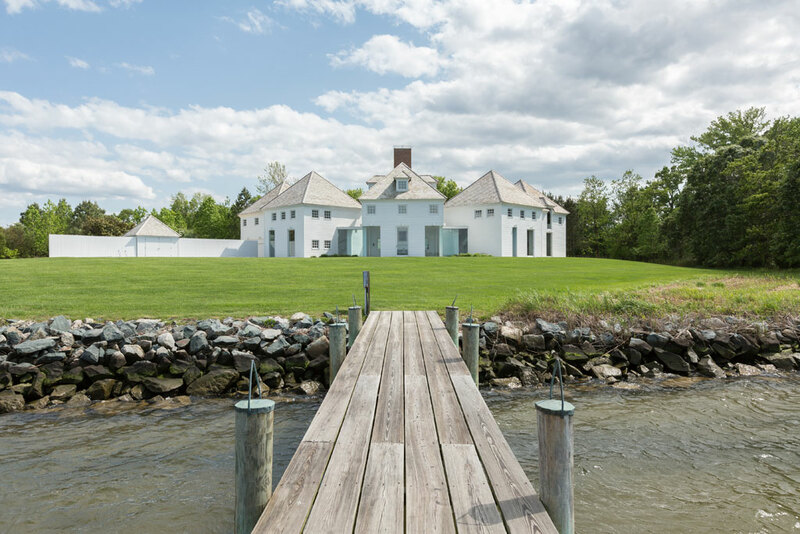 A water view showing a home restoration and scenic garden in Talbot County Maryland. 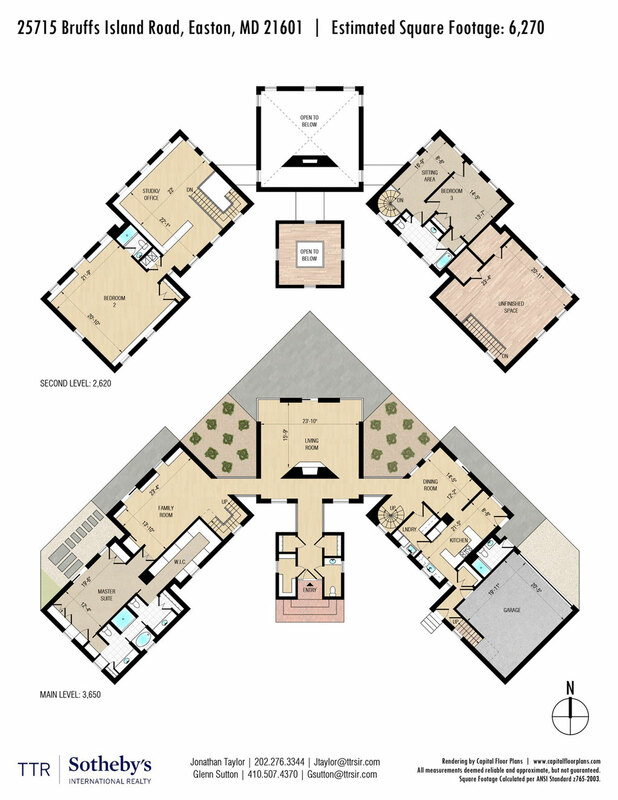 A master suite addition, new garage and driveway with an expansive porch and walkout deck above in Talbot County, Maryland. 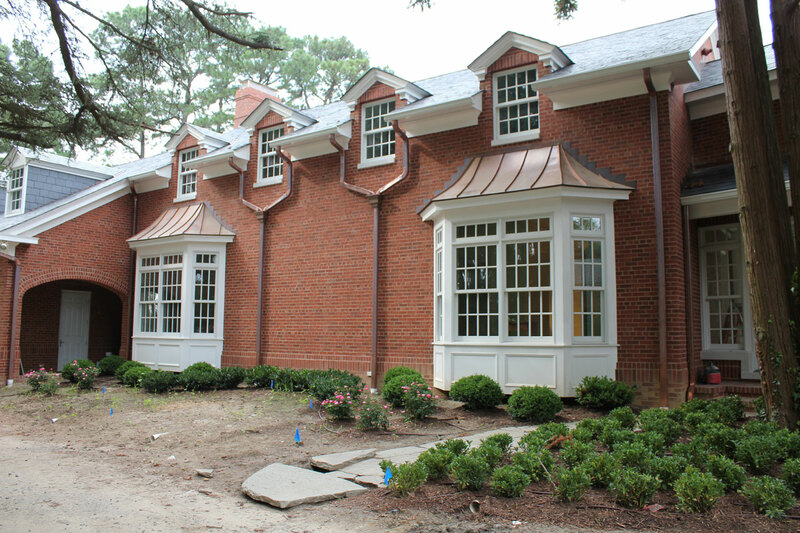 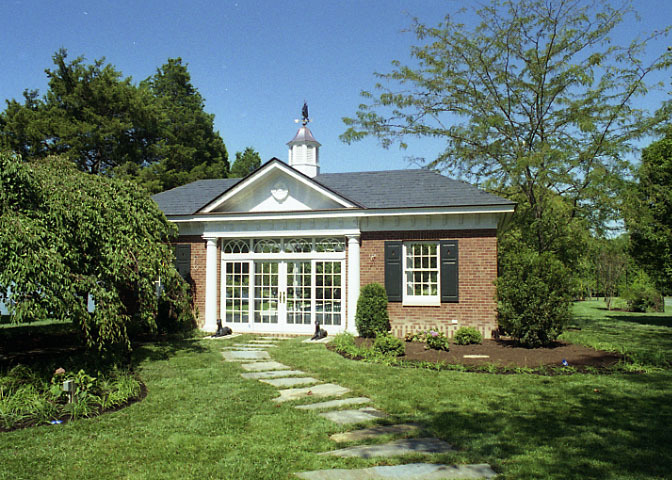 This renovated Pool House has custom cabinets, hurricane shutters and all new brick exterior. 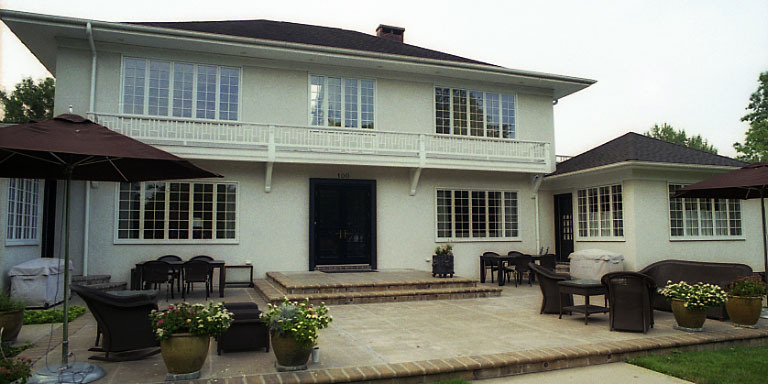 The construction included elevating the existing roof by 2’ and adding a custom designed pergola. 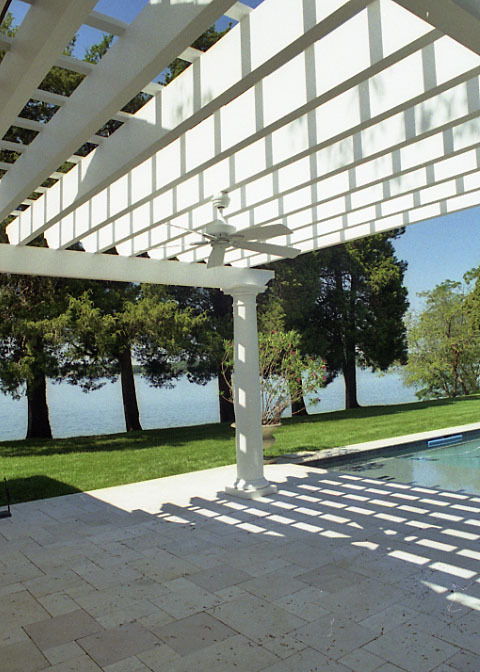 The custom waterfront Pool House Pergola includes a concealed lighting system and a weatherproof fan. 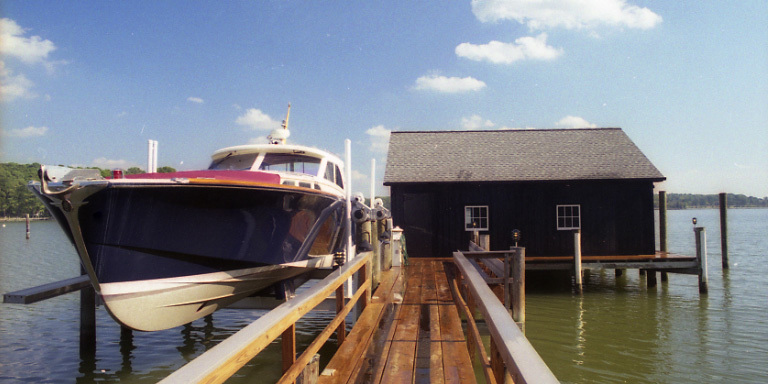 A residential boat house and dock builder project in Talbot County, Maryland. 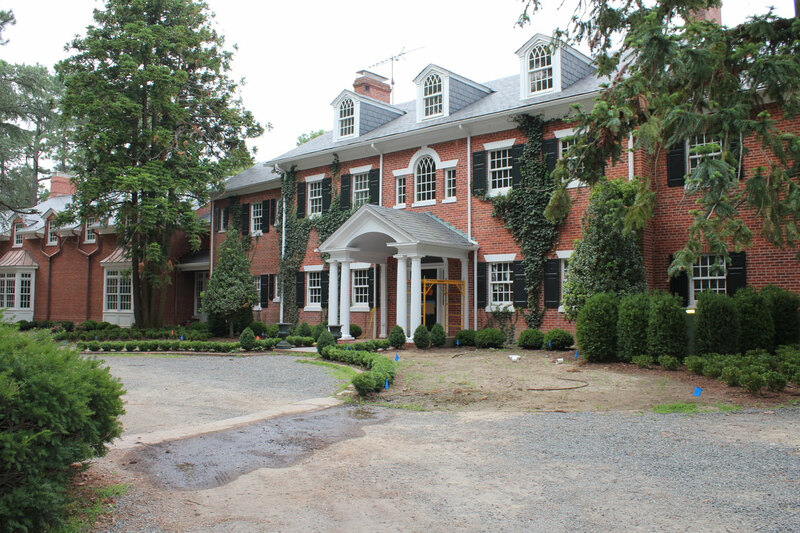 A completely renovated turn of the century home in Easton’s Historic district. 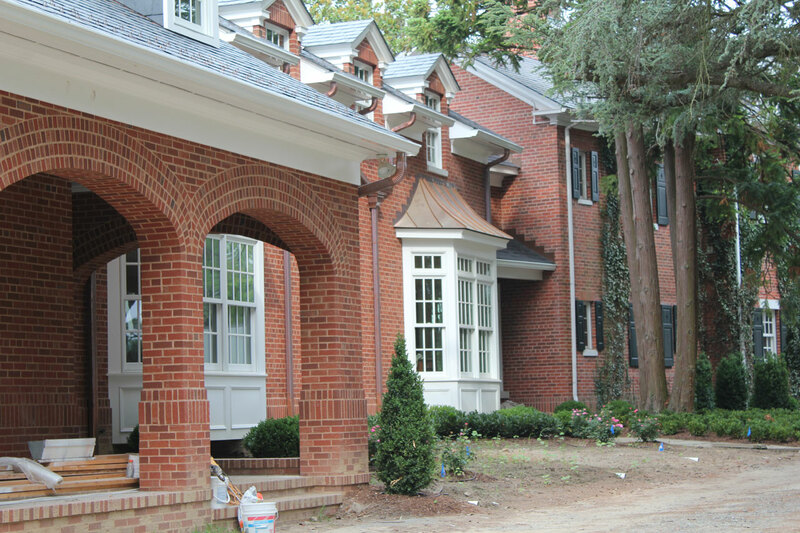 The custom designed Master Suite addition was created to expand the living quarters. 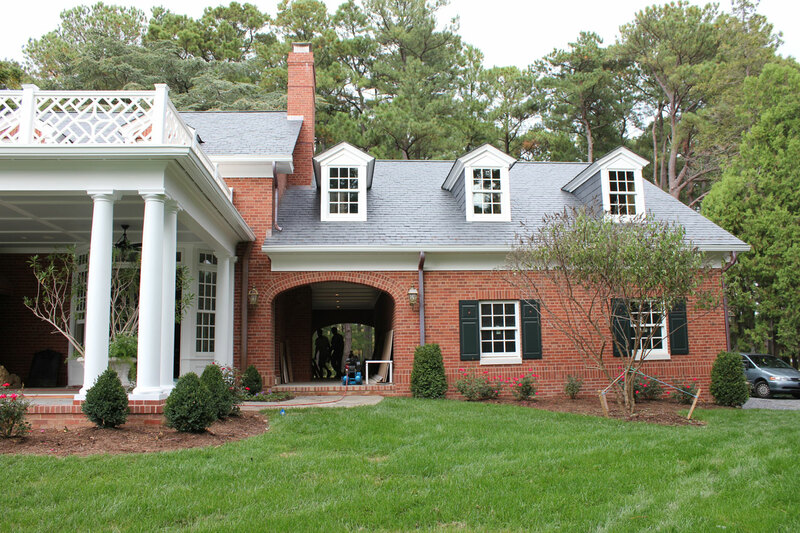 The large country kitchen was added where the garage was and expanded to create a family seating area.